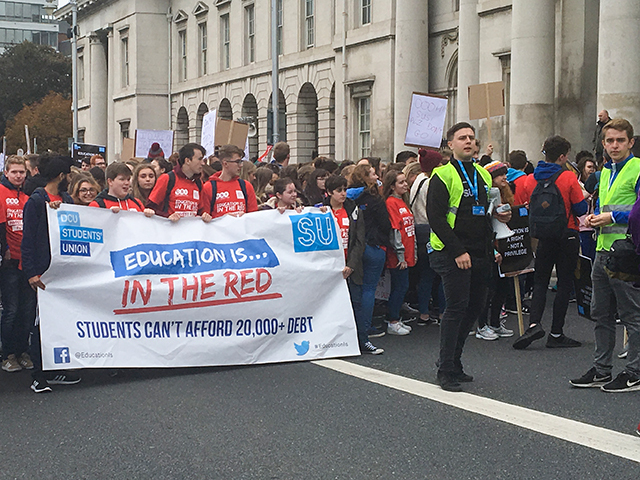 An estimated 15,000 students from all across Ireland attended the USI’s Education is in the Red: March for Education today in Dublin to lobby against the implementation of a loans scheme according to Síona Cahill, USI VP for Equality and Citizenship. 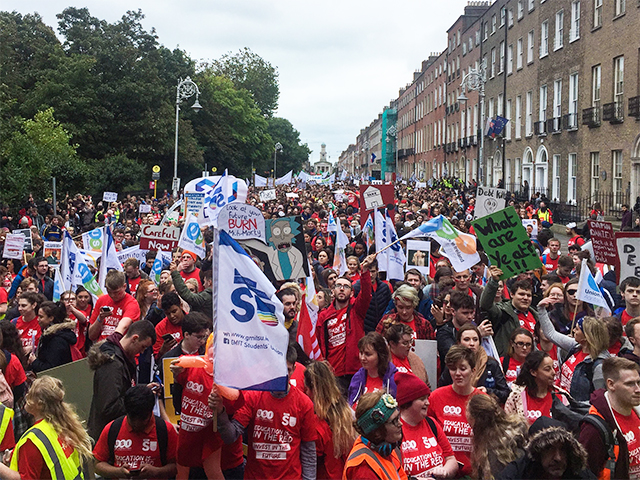 Student activists marched from Custom House Quay on to Merrion Square, where speeches were delivered by an assortment of speakers including Kerrigan, NUS-USI President Olivia Potter Hughes and Impact Education Division Chairperson Gina O’Brien. Marchers called for an immediate reduction in the student fee ahead of Budget 2018 and a commitment to invest in publicly-funded higher education. Taoiseach Leo Varadkar rejected British or US-style student loan schemes last week, but did not entirely rule out some form of students loans, saying that students “should make a contribution” to the costs of their degree. Kerrigan said the USI was tired of hearing stories of students suffering at the hands of rising fees while trying to improve their future. 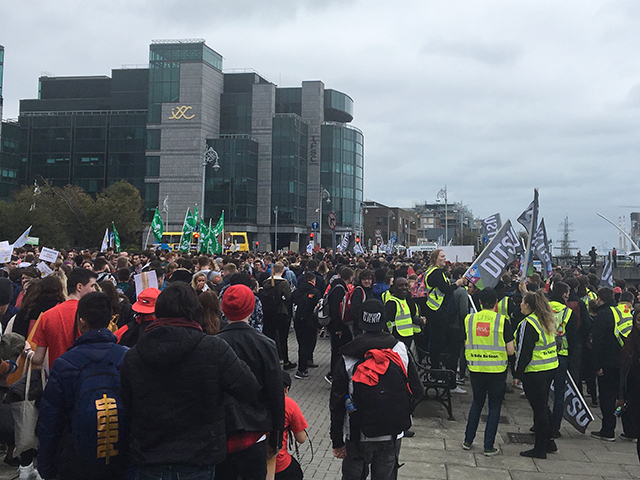 DCU Students’ Union showed their support of publicly funded education by shuttling students from campus into town to attend the march. The university also asked academic staff to accommodate students who wanted to attend the event. Kerrigan warned that putting a loans scheme into effect would have a negative effect on students, but on Ireland as a whole. “A student loan scheme would cost this country 10 billion euro over the next 12 years to implement, it is estimated that it would take at least 17 years for it to become self-financing, and it will be at least 13 million lost every single year due to people emigrating,” said Kerrigan. Highly educated and talented graduates emigrating and leaving behind their debt would also cause harm to Ireland’s future if a loans scheme became a reality, the USI president cautioned.